Arrowhead Hiring For A "Mind-Blowingly Cool Project"
Arrowhead, the studio behind Helldivers, Gauntlet (the recent remake) and Magicka, got on Twitter and their own blog today to announce that they are currently hiring new artists to join the team. Having just released a smash hit in the form of Helldivers, the studio is “going into the realm of bigger projects” with a new project that is “freakin’ amazing.” Their blog continues to say they are hiring “big time” for this project, and will also be expanding and remodeling their offices. 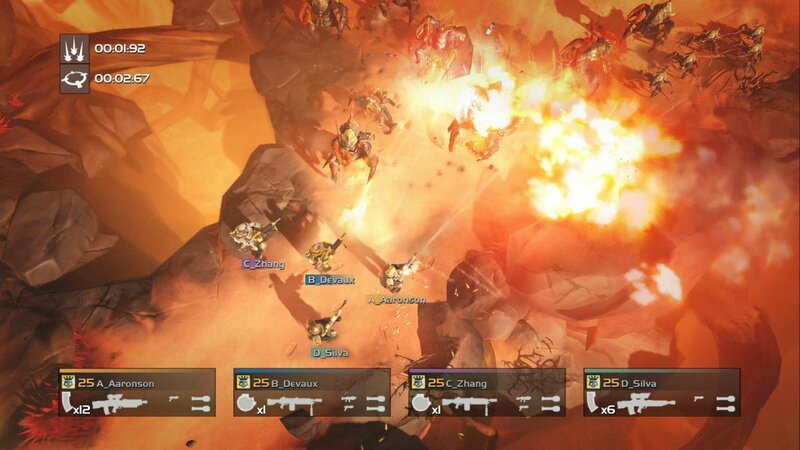 For those not in the know, Helldivers (aka Starship Troopers the video game) is a great little sci-fi action game that was picked up and published across Playstation platforms by Sony. The twin-stick, four player shooter found great success upon release this past Spring (especially considering it was developed by about a dozen people), both financial and critical. It found itself at number four on the Playstation Store charts and maintains an 81 on Metacritic. Given how well the game did, and Sony’s propensity for funding and cultivating talent, it will be interesting to see if they become involved in this newest project. As of right now, all we know is “they’re very exciting times over here and oh my how they’re going to get even more exciting in the coming months.” If they are hiring artists, we can assume that the project is in very early, probably conceptual stages. In the meantime, I’d suggest getting over the Playstation Store and picking up this gem. It is quite a good stress reliever, I’ve found, to mow down waves upon waves of enemy aliens with rifles, turrets, armored mechs, and an assortment of airstrikes at your disposal.